MAY 1st 2014 – Excellent Barbie in Glasgow last Friday evening. The first of many for the “Summer Season”. Hmmmm weather was pretty shoddy – grey & bitterly cold. Still there was plenty room within our client’s abode for the guests to party while our guys shivered outside in the gazebo. 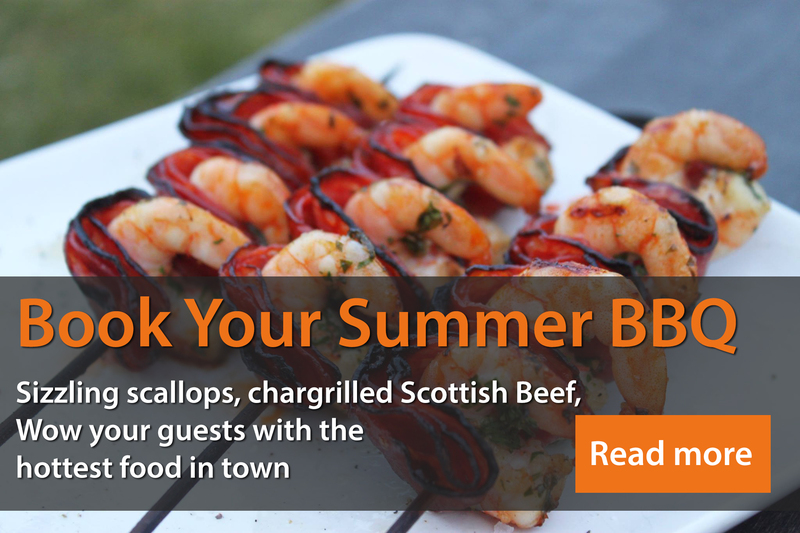 Actually that’s not true – there’s never a shiver when our chefs are cooking on the coals! Delighted clients, happy MC team – perfect start to the season. 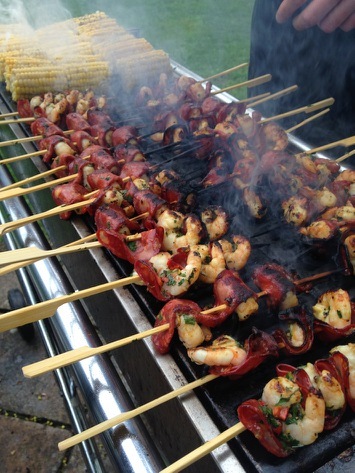 Once again our Tiger Prawn & Chorizo Skewers were the biggest hitters of the night. These fellows always disappear fast……..